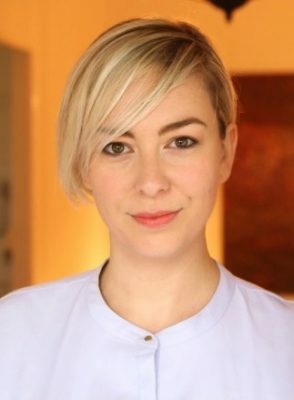 Jessica Rudd, the daughter of former Labor PM Kevin, has joined the board of the Australian Agricultural Co as a marketing specialist. Ms Rudd is the founder and managing director of Jessica’s Suitcases, an online retailer of Australian ‘lifestyle’ products into China. In 2016 she was appointed Australia lifestyle ambassador for Alibaba, China’s largest online retailer. She began her career as a media and IP lawyer before working in crisis communications and as a contributor to print and broadcast media. She lived in Beijing for five years with her Chinese husband, picking up the language and gaining knowledge of Chinese demand for quality Australian brands. “I join the board at a time when the path from Australian paddock to global plate has never been faster,” she said in a company statement issued to the ASX yesterday. Her appointment to the board is effective immediately. 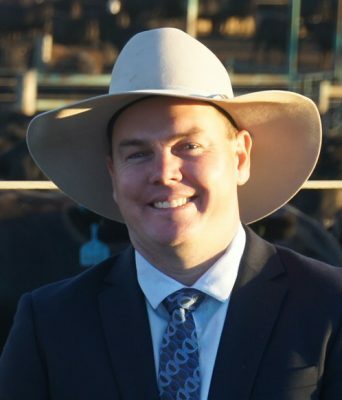 The manager of Queensland’s Kerwee feedlot, Steven Martin, has joined the board of the Australian Lot Feeders Association. Mr Martin was elected to the ALFA board during the AGM held in Armidale last week. A former Young Lotfeeder of the Year in 2013 when he was Elders Killara livestock and farm manager, Mr Martin became manager at Kerwee three years ago. His arrival on the ALFA board continues an unbroken tradition stretching back to 1970 for Kerwee representatives to hold a place on the ALFA board. Feedlot founder Robin Hart served from ALFA’s inception in 1970 until 2005, when feedlot manager Jim Cudmore stepped in to join the board, later serving as president. Jim in turn stepped down from the ALFA board after 12 years’ service at this month’s AGM, only to be succeeded by Kerwee’s current manager, Steve Martin. It means Kerwee has an unbroken history of 47 years of active service on the ALFA board – surely a record for any company’s representation on an Australian red meat industry peak industry council. ALFA chair Tess Herbert was generous in her tribute to retiring director and former chairman Jim Cudmore for his tireless service to the feedlot sector and the broader beef industry. Also at ALFA’s recent AGM, Bryce Camm, Wonga Plains feedlot, Qld, Tony Fitzgerald, Killara, NSW and Paul Vogt, Iranda Beef, SA, were returned as directors, and Barb Madden from Smithfield was elected treasurer. President Tess Herbert was re-elected, unopposed. 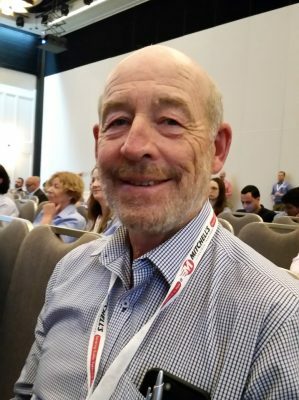 The Australian Livestock Export Corporation (Livecorp) has a new chairman, following the peak council’s AGM yesterday held as part of the LIVEXchange conference in Perth. Replacing outgoing chairman David Galvin, who has served two terms, is Western Australian livestock and grain producer, Terry Enright (pictured) who previously sat as an independent director on the Livecorp board. Mr Enright is prominent in WA agricultural circles, operating a successful farming operation with sheep, beef cattle and grain, as well as maintaining a leading role in the administration of agricultural research in the grains industry. He has served in a number of agriculture-related positions including as chairman of the Grains Research and Development Corporation, Chairman of the Council of Rural Research Corporations, a commissioner of the Export Wheat Commission, a director of Barley Australia and chairman of the Albany Port Authority. Northern NSW coastal beef producer Angela Seccombe has completed 12 months on the board of the Northern Cooperative Meat Co at Casino. She is the board’s first female director, replacing Lennard Blok, who stood down after two terms. Ms Seccombe is NCMC chairman John Seccombe’s sister-in-law. Re-elected as board directors for a further three-year term at last week’s AGM were Ron Chittick and Neil Summerville. As reported last week, grower shareholders attending last week’s AGM heard that NCMC returned a greatly reduced $1.06 million pre-tax profit last financial year, limited heavily by cattle supply. The Kimberley Pilbara Cattlemen’s Association (KPCA) has appointed Emma White as its new chief executive officer. Ms White was previously an executive director with the NT Department of the Chief Minister. Her experience includes nearly twenty years working across WA, the NT and Queensland in various policy development, community relations, stakeholder engagement and Indigenous capacity building roles. Her experience has primarily come from the resources sector in both the public and private spheres. KPCA chair David Stoate said the association was now well positioned to capture the opportunities currently available to the industry. “We are in a rapid growth phase and Ms White is just the person to lead us into this next phase, ensuring we capitalise on the work that previous CEO Catherine Marriott has completed,” he said. Mr Stoate also thanked and acknowledged the efforts of outgoing CEO Catherine Marriott in helping build and consolidate the KPCA. Ms Marriott, who finishes up with KPCA on November 30, has taken on a new role as the Broome-based WA Manager for the CRC for Northern Australia. At KPCA’s recent AGM, four new people were elected to the executive – John Davidson from EMC Kimberley as a Stakeholder Member; Joe Paull from Noreena Downs Station; Jillian Fisher from Yandeyarra Station; and Haydn Sale from Mandora Station. David Stoate and Annabelle Coppin were re-elected. 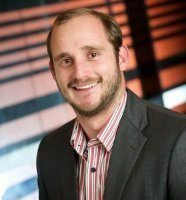 Meat & Livestock Australia’s data intelligence and National Livestock Reporting Service team manager Damon Holmes moves to a new management role within the industry service delivery company this week. From Monday, Mr Holmes (pictured) has taken the position of Integrity Program Manager within MLA’s Integrity Systems Company (ISC). In this role he will oversee management, delivery, and reporting of industry’s integrity systems, including the National Livestock Identification System, Livestock Production Assurance and National Vendor Declarations, along with implementing new initiatives aimed at enhancing Australian red meat product integrity and improving integrity system compliance. Following a comprehensive merit-based recruitment process, Dr Chris Parker has been appointed the permanent chief executive of the Australian Pesticides and Veterinary Medicines Authority (APVMA). “Dr Parker is a demonstrated leader who brings a wealth of experience, deep industry engagement and proven credibility with government and APVMA stakeholders to this role,” assistant agriculture minister Luke Hartsuyker said. “He has been able to achieve a significant amount during his short time acting as interim CEO. Dr Parker is putting in place measures to improve APVMA’s performance, which will result in improved access to agricultural and veterinary chemicals for Australia’s farmers. Dr Parker will provide new leadership and ideas for Australia’s agricultural and veterinary chemical regulator,” the minister said. 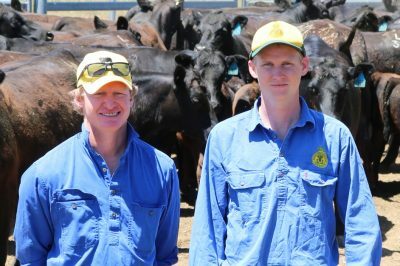 A partnership between Angus Australia and the Graham Centre for Agricultural Innovation is set to give two Charles Sturt University students an insight into beef genetics research. CSU Bachelor of Veterinary Science student Georgia Howell and Bachelor of Ag Science student Jack Shultz have been awarded $5000 internships, co-funded by the organisations. Angus Australia’a Nick Butcher with CSU Bachelor of Ag Science student Jack Shultz. CSU lecturer in farming systems Michael Campbell said the internship program provided an opportunity for the students to gain valuable experience and was an example of the value of partnerships to deliver industry relevant research. As part of their student internships, Ms Howell and Mr Shultz will be involved with the Angus Sire Benchmarking Project, which aims to evaluate the current tools used by Angus breeders to select bulls. Originally from Ambrose near Rockhampton in central Queensland, Mr Shultz said the program was an opportunity to further explore his interests in breeding high quality beef. “The internship program will give me the chance to better understand the theory behind genetics research and the practical experience of seeing how it’s implemented in the field,” he said. Ms Howell hails from Amphitheatre in central Victoria and said the internship will give her an insight into the work of Angus Australia to promote the breed. The Southern Australian Meat Research Council is seeking committee members and a chairman for some of its constituent regional councils. As part of SAMRC’s commitment to succession and building the capacity of the organisation, recruitment is now underway for a regional chairperson for the Central Victorian SAMRC committee, together with regional committee Producer Members for Western Victoria, Central Victoria, Northern NSW and Western NSW/Southern QLD committees. SAMRC’s Regional Committee members provide the critical interface between RD&E providers and the needs of red meat and livestock producers. Candidates should therefore have strong commercial beef and/or sheepmeat production experience in the regions indicated. All positions are open to any grass-fed beef and/or sheepmeat producer who resides in the respective locations. SAMRC was established in 2015 as a joint venture between the major providers of research, development and extension services for Australia’s sheepmeat and southern beef industries. Beyond its scope as a forum to progress the RD&E interests of this zone, SAMRC and its regional councils provide specific review, planning and consultation services to RD&E stakeholders. MLA utilises the council as part of its national producer engagement and consultation model. More information about the positions is available here. As the body’s administration manager, Lauren Jones is often the first point of contract for many industry stakeholders dealing with the Australian Livestock & Property Agents Association. ALPA is advertising for a replacement – see Beef Central’s recruitment section. The Australian meat industry has lost another of its colourful early pioneers in Tom Shearer, at age 86. Starting with Andersons at Wallangara as a trainee cattle buyer, Mr Shearer brought cattle throughout Queensland and New South Wales while stationed in rural centres like Charleville, Wandoan, Taroom and St George. In the late 1950s he left Andersons to embark on his own endeavours, buying spayed cows throughout the west, and on-selling them to processor TA Fields. This eventually had him resourced enough to join with NSW processor Charles David Throsby supplying northern cattle for Sydney and export markets. A true old-school cattle buyer, his contemporaries were the likes of Spratt, Garvey, Clanchy, Boundy and Pluto. Buying out Throsby’s share, Mr Shearer was getting cattle, sheep and pigs killed at Toowoomba’s KR Darling Downs and later at Murgon, Oakey and Beef City. He took over the boning room at the Toowoomba Public Abattoir when it was export licensed, and concentrated on killing bulls, often locking horns with the likes of Morex Meats. While never really worrying the ‘big boys’, his 95CL frozen bull meat gained quite a following in the USA grinding beef market. While all this was going on he was acquiring a few properties in Western Queensland’s Channel Country and being partially vertically integrated, he was also revelling in the Western Queensland racing circuit having some success with now top Toowoomba trainer Kevin Kemp. The tougher times of the mid to late 1980s saw him forced into early retirement with higher interest rates and the closure of the Toowoomba public abattoir. He was a tireless fund raiser for schools and hospitals being the brains behind the St Vincent’s Hospital Rodeo. Tom leaves behind Judy, his wife of 59 years, five children and 12 grandchildren. A mass celebrating Tom’s life was held in Toowoomba last Saturday. 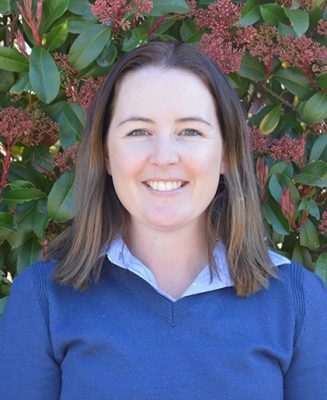 Angus Australia has appointed Candice Liddle as the breed society’s Events and Youth Development Officer. Candice is from Walcha New South Wales and has been working at Angus Australia since July in the Member Services team. She has had a long association with Angus youth in the past, having competed at a number of Angus Youth National Roundup events with Ben Nevis Angus and has also attended the Tocal Beef Cattle Assessment School. Prior to working with Angus Australia Candice worked as an international travel consultant and spent two summers working as a horse riding instructor at Camp Rim Rock in Yellow Springs, West Virginia. More recently Candice has been working with her husband managing their shearing contract business and their sheep and cattle property. The NSW Department of Primary Industries Nuffield Farming Scholarship has been awarded to Hunter Valley beef producer, Sarah Sivyer, who aims to optimise farming brands by building transparency into the business. 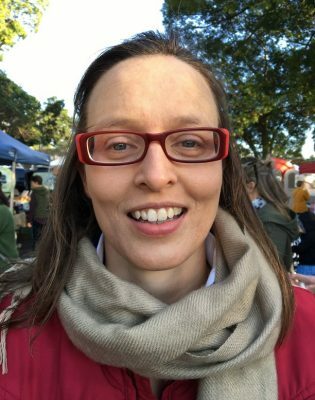 NSW DPI business resilience program manager, Sonia Muir, said the department’s Young Farmer Business Program identified the need to invest in developing young farmers’ leadership skills and cultivate industry innovation. The sponsorship will enable Ms Sivyer to investigate how producers can optimise trust in their brand by leveraging a culture of continuous improvement. A fifth-generation farmer, Ms Sivyer runs a beef operation at Eccleston, consisting of a 350-cow and calf operation plus steer-finishing. “Simply differentiating a product based on premium quality is not enough – we focussed on continuous improvement and innovation as a way of striving for improved production, to better meet the needs of our livestock and customers, now and into the future,” she said. With a Master of Business Administration from Oxford University, Ms Sivyer is well-placed to take advantage of the study opportunity, which includes travel to Italy, the Netherlands, Japan and the United Kingdom.